These are all sort of random things, but I have a few things to get out of my head before it bursts. It is nomination time for the Blogger's Quilt Festival. 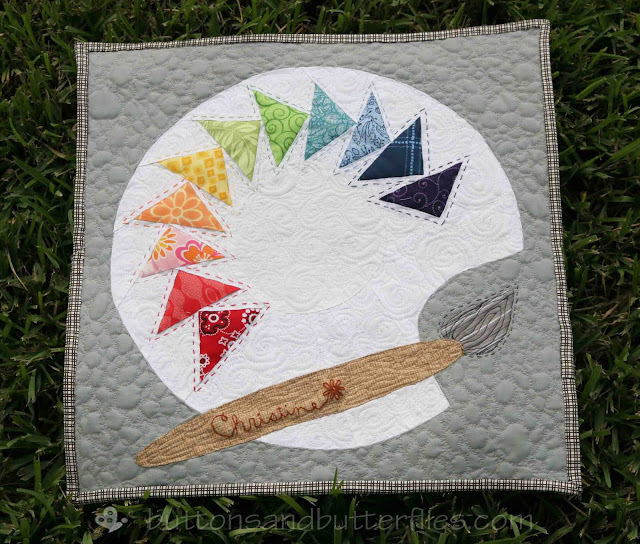 This little bad boy qualifies as a mini, home machine quilting, but I would say a mini quilt is the best description for it. If you feel so inclined, do you mind entering it for me? Simply click on the image and it will take you STRAIGHT to the form! You can enter mine as a mini, if you feel inclined! I have a laundry list of nominations I was working on for others entries It is quite a job going through 600+ quilts HERE! It has been fun "meeting" new bloggers and seeing my old blogging friends bring out some of my favorites all over again. I REALLY mean it! I just hope I can get through all 600+ entries before the Spring Festival! I am still just trying to catch up on all the lovely comments visitors have made the past few days. I promise, I am hacking away a bit at a time! I like to answer all of my comments!! Button and I are off to the Houston Quilt Festival. Our goal is to get some pictures of some of my friend's entries and some of the samples they have done for certain fabric design lines and fabric companies. I hope they didn't pack up all their booths from the Market. I also plan on looking at some tools for Ole Betsy! Button keeps saying "titchin" and "kwits" when I say we are going to the quilt show. I missed out on October's link up, but I did get more than three things done! but, oooh nooo, not me! Finish my Imagine @ do. goodstitches bee quilt. I bought the backing fabric and all I need to do is get it on Ole Betsy sometime this weekend! I pulled my fabrics and it seems my partner is happy...so I need to just dive in! This is pinned on my Pinterest...but you can click on the image to the original! 3. And a tote bag that is Disney-esque. 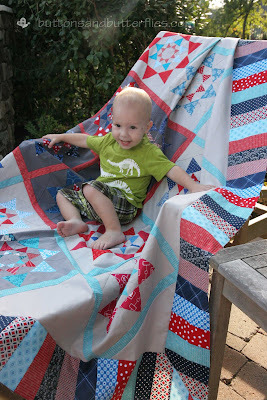 Linking up with Tracey at Traceyjay Quilts. The beautiful and wonderful host of Just Three. Did you notice the THREE theme I had today? How about your three things? What three things can you finish up this month? I hope you and Button have a great day out. can't wait to see that bee quilt! Good luck on the goals and in the festival! I love that your Just 3 is actually 5. =) I am jealous about Disney though!